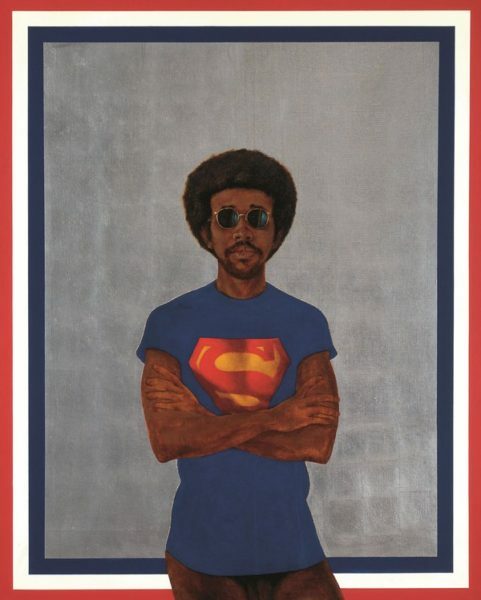 Barkley L. Hendricks, 'Icon for My Man Superman (Superman Never Saved any Black People – Bobby Seale)', 1969. Private Collection; © Estate of Barkley L. Hendricks. Courtesy of Jack Shainman Gallery, New York. Superman S-Shield © & ™ DC Comics. Compton Verney’s new exhibition draws together over 90 works that investigate how the human eye and mind perceive what we see, including a gallery-sized mural by German abstract artist Lothar Götz. This theme can be explored in London too, with a show of Franco Grignani’s dazzling works at the Estorick Collection in Canonbury.